Arthritis is a disease that causes pain and inflammation in joints and can be widely spread throughout the body. The common thread among arthritis symptoms is persistent joint pain and inflammation. While arthritis pain and inflammation cannot be completely avoided as the body ages, especially for those who are active, acupuncture can manage the pain and improve body function. 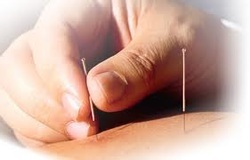 The relief of arthritis pain through acupuncture has been studied many times. The popularity of acupuncture as a treatment for arthritis continues to grow because more and more people have found significant relief without the negative effects that sometimes accompany Western medical treatments and drugs. Contact us for a FREE consultation and information on how we can help you to relieve arthritis pain!